Just got engaged? Congratulations! It must be an amazing feeling, now that you are about to embark on a new journey. After all, marriage is undoubtedly one of the most important milestones in one's life, it's an incredibly beautiful and special experience. So everyone wishes to make his/her wedding a memorable one, not just for themselves but for everyone involved - their families, close friends, relatives and other guests. However, after the initial euphoria of engagement wears off, when one sits down to plan the wedding, the task starts seeming very daunting. Even more so, if the D-day has been fixed for a sooner date and there isn't much lead-in time left for the event. With so many things to take care of and given the amount of pressure for everything to go right, even the more experienced elders in the family can feel overwhelmed and stressed out. My cousin got married recently and we had only a little over two month's time to plan the arrangements. Although most things went well just as we had desired but we did face a few hiccups as well along the way. Merely planning the arrangements wouldn't be enough, rather one has to ensure that they remain on the right track throughout. So to make that happen and to avoid last-minute hitches, it would be a good idea to make a to-do-list so that you are better equipped to manage the arrangements. The first essential thing while planning a wedding is to prepare an overall budget for the wedding and sticking to it. Without a budget in place, people often tend to go overboard while spending and end up messing with the preparations. Therefore the wise thing to do is to figure out the total estimated cost of the wedding, based on each aspect of the event like outfits, jewelry, gifts, make-up charges, wedding venue charges, food and catering and so on and then allotting a certain percentage of the budgeted money to each aspect. The second most important step in wedding planning is to select an appropriate wedding banquet, based on its facilities as well as the number of guests to be invited and book it for the D-day at once. Otherwise the chosen venue mayn't be available that time because good wedding venues often get booked well in advance, much before the start of the wedding season. The wedding guest list needs to be prepared and invitations should be sent to them well in advance (at least a month before the wedding) so that they can plan their trips accordingly. The invitations could be either in form of printed cards (especially meant for the close relatives and family) or e-cards. The next step involves finalising and booking the vendors for the wedding like tentwalas, videographer and photographer, the priest, florists, dholwalas, the DJ but first and foremost the wedding caterer. Because let's face it - more than anything else, it's the food served at a wedding party that determines whether the wedding would be a memorable one for the guests or not. Therefore the wedding caterer should be chosen assiduously. Ideally one should start the wedding shopping (outfits, jewelry, shoes and other accessories, gifts for the guests etc) as early as possible, preferably right after the engagement. Otherwise if done with not enough lead-in time left, one wouldn't be able to explore much. As the wedding date gets closer, keep cross-checking with the booked vendors to ascertain that the arrangements are in place. Thus wedding planning is a humongous task, and anyone can get cold feet, especially at the final stretch. It helps immensely if you have got helpful hands (family and friends), for then the tasks can be delegated to them. But if there aren't many to assist you, it would be a good idea to either hire a wedding planner or plan your wedding yourself with the help of wedding planning apps like WedMeGood. You can find vendors, contact and book them, get tonnes of wedding ideas, access your wedding checklist, etc. on the app. So go on, make your wedding a memorable one! Indeed, wedding planning is such a stressful job... my brother got married this February. Although we had already started preparing for the wedding almost six months earlier, but still we stumbled at so many junctures in the build up to the marriage. The more closer the date came, the more tensed we became. Thank God, the main events - wedding and the reception got over without much trouble. Very well-written. I agree, if planning by oneself, then preparing a proper checklist for the arrangements is a must, otherwise the entire planning may go haywire. Otherwise hiring a wedding planner in my opinion is a better option. 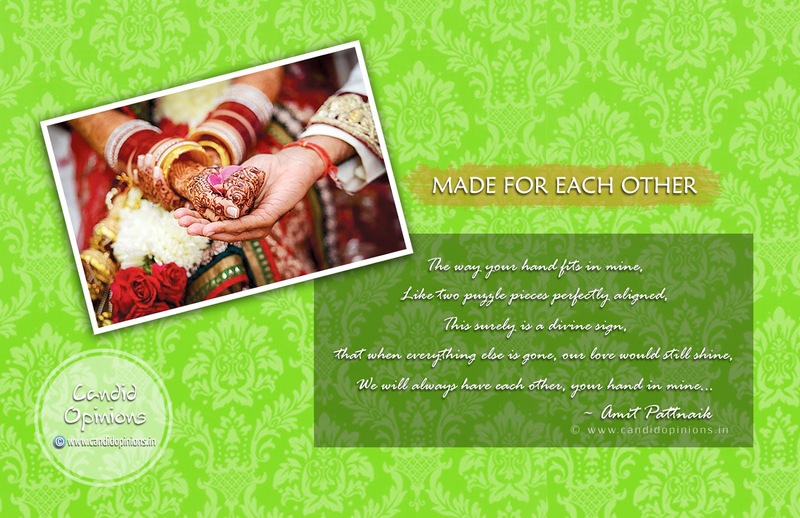 @Megha hmm, wedding planning is a huge task and each aspect of the wedding needs both time and thorough planning. Happy to know that the main events went by without much fuss. In my case, the entire event went smoothly without any faltering because we had meticulously planned out every single aspect, right from the start and also because I had so many people helping me out - my cousins, my friends and the elders. So the work was evenly distributed and luckily every piece fell onto its right place. Thank you, Varsha :) Yes, most families stumble a bit in the first marriage due to inexperience but still, with a well thought-out plan and proper execution, even the first marriage in the family can be an error-free one! Marriage planning is indeed one of the toughest and stress-inducing jobs one would come across. So many things to look after and the time feels like ticking away so fast that one would feel as if he won't be ready in time. Yeah, right unless you have a lot of family members or friends to help you, it's better to hire a wedding planner. @Vishal, that's true, wedding planning can be stressful if you do not have enough helping hands. But now with the availability of some really good wedding planning apps like WedMeGood, the task has become relatively easy. I feel, one of the most important aspect in a wedding is good food, the guests are more concerned about whether the food being served in good or not. So arranging a good caterer is a must. @Prangyan Bhauja, that's true. Arranging a good food caterer is definitely one of the most important things to look out for in the wedding planning process. Thank you Pankaj :) Keep visiting my blog for more of such articles.